In a few days, Easter would be celebrated. 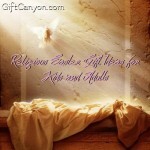 As we all know, we have this tradition of gift giving on Easter because we are celebrating the resurrection of our Savior Jesus Christ. We do give gifts not only for the kids but also for our friends, relatives and loved ones who are already adults. 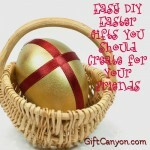 During this season, gifts are usually packed in Easter baskets. 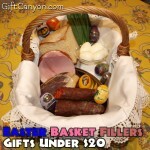 You can readily buy an Easter basket online with the basket fillers inside included. 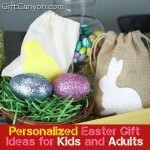 You can also make your very own Easter baskets if you want to add personal touch. 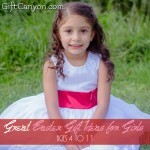 Check out the Easter basket gift ideas we have prepared for you below. 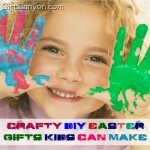 Kids are the ones who enjoy Easter more, we know the reason why already and that is because of the Easter surprises that they get during this season. 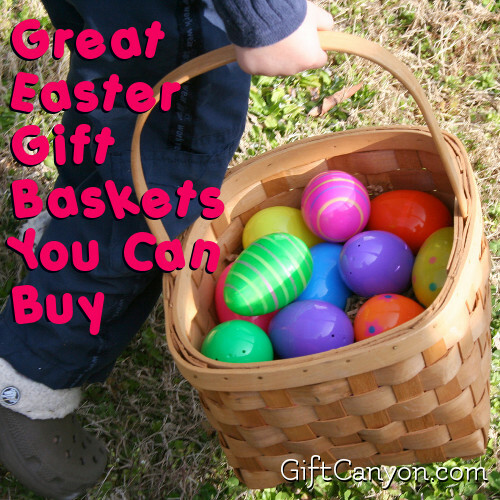 We know that an Easter basket is mostly comprised of sweet treats, coloring books, arts and crafts materials but some baskets also contain religious memorabilia that they can enjoy at their age. 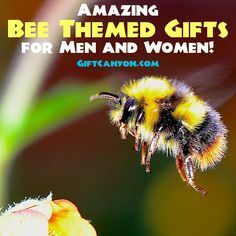 Without further ado we now present to you the Easter basket gift ideas that are popular nowadays for the chickadees. 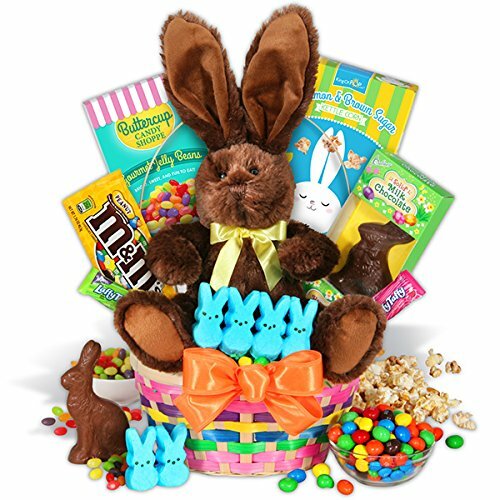 The classic Easter basket contains the classic stuffed bunny that children loves to cuddle, it also has, the gooey and chewy Laffy Taffy, bright chocolate candies such as M&Ms, gourmet popcorn and the ever loved bunny made of milk chocolate. 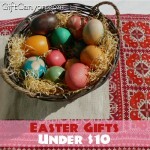 All of these surprises are enclosed in a woven wicker basket that is a timeless presentation of an Easter basket. My first Easter basket is the perfect Easter basket for the small kids who are not yet allowed to eat chocolates. 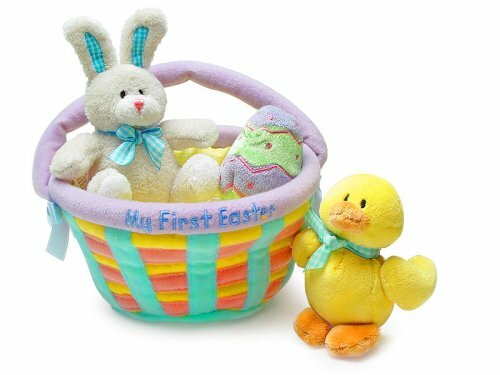 This Easter basket contains cute and adorable plush of a bunny, eggs and a chick. 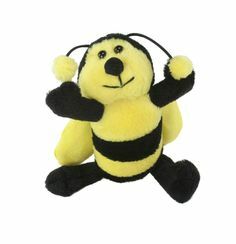 These plush toys are good for pretend play as you explain to the little ones the celebration of Easter the simplest way possible. The Disney princess Easter gift basket is best for the little girls aged three to eight years old. 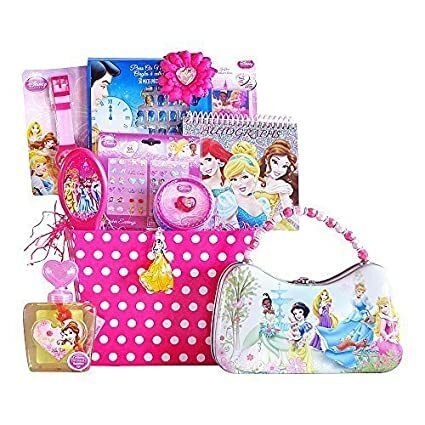 This Easter basket contains no candies nor chocolates only Disney princess stuff that the little girls would love such as: tin can, purse, nail accessory, key chain, head band, stick on earrings, lip gloss and more and all are of course themed of their well adored Disney princesses. 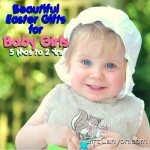 This Easter gift basket is perfect for the young girls who have food allergy especially to sweets and chocolates. 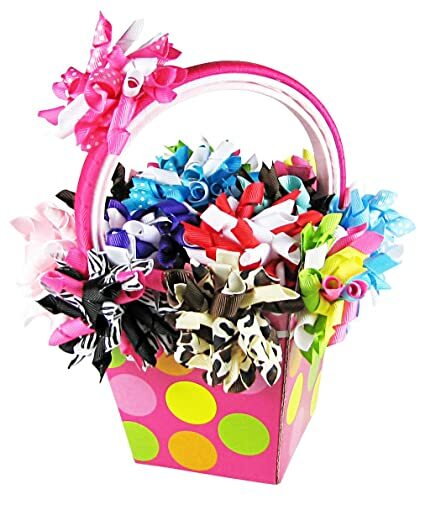 For the girls who love to accessorize their hair, the barrettes and headbands gift basket would be the perfect Easter basket. It contains 15 pieces of hair bows of different colors, 3pc grosgrain ribbon wrapped headbands and 10pc 1.5 inch crochet headbands. 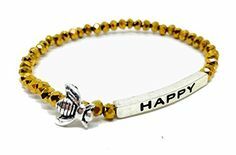 All of these are in brilliant and eye catchy colors and can easily be clipped on the hair. 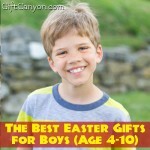 The boys also would love to receive Easter gift baskets. 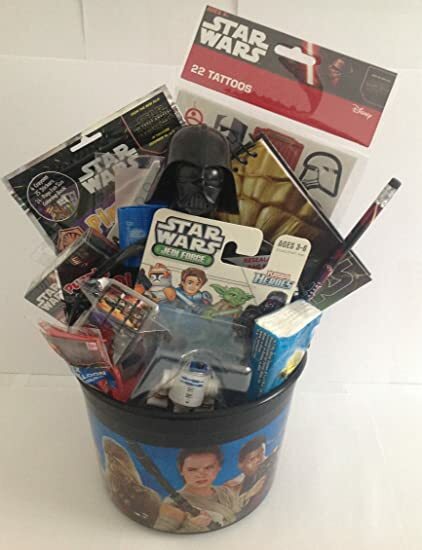 If they are not into the chocolate surprises or the usual Easter gift baskets but would love to have some collectibles like the Star wars items then this Easter gift basket idea would be a sure fire hit. It contains 7 piece Star Wars items such as a folder, first order Stormtrooper eraser, Star Wars hot wheels blast attack die, cast figure, lanyard pouch, light saber pen, stationary set and a plush. Let’s face it; even the adults are somehow expecting Easter surprises and treats. Make sure to give your loved ones, friends and family a memorable Easter basket. 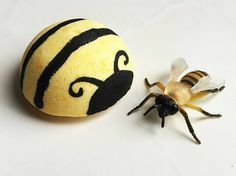 If you are clueless on what to give, check out the cool Easter basket ideas we have prepared below. 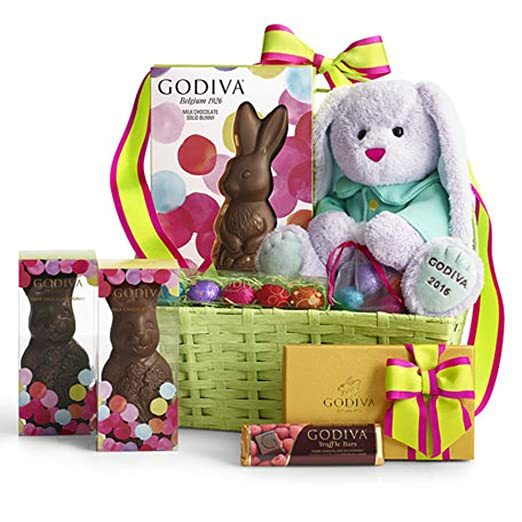 The Godiva chocolatier bunny delights Easter basket is the perfect gift idea for the chocolate lover. 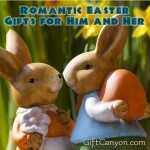 It has chocolate bunnies, eggs, bars plus a very adorable Easter bunny plush. A delightful way to wake up on an Easter morning is by waking up with a surprise present and a scrumptious breakfast! This coming Easter, surprise your friends, family and loved ones with the Easter morning breakfast gift basket. 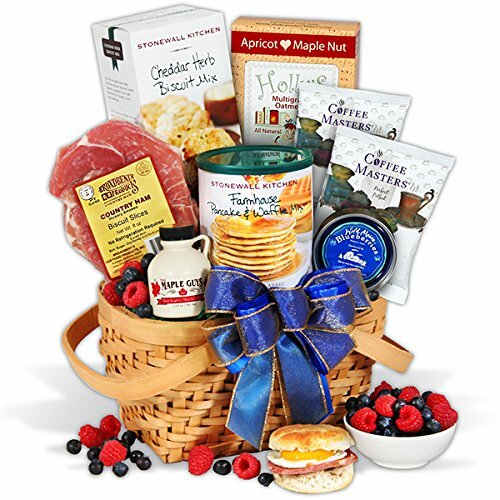 It has gourmet coffees, Apricot Maple Nut Oatmeal, freshest wild Maine blueberries, purest New Hampshire maple syrup, country ham slices, the finest pancake mix and a cheddar herb biscuit mix. 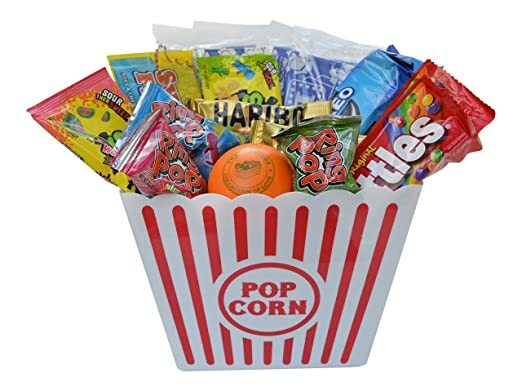 The movie lover would love to have something to munch while watching movies on Easter night. Surprise them with this Easter movie night gift bundle. This Easter basket includes a variety of snacks, candy and cookies such as Oreos, Haribo, Skittles, Swedish Fish, Sour Patch Kids and Ring Pops. Four packages of popcorns is also included. 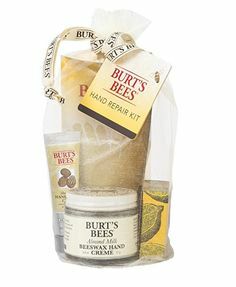 The bundle comes in a reusable popcorn bucket that you could use again and again at every movie night.